How much is Jan Smithers Worth? Jan Smithers Net Worth: Jan Smithers is an American actress who has a net worth of $6 million dollars. Born in North Hollywood, California, in 1949 as Karin Jan Smithers, Jan Smithers earned a "Newsweek" magazine cover in 1966 while posing on a motorcycle. It was her first introduction to the limelight. Several years later, Smithers earned her first on-screen role with a one-episode part in "Love Story". In 1974, she appeared in "When the North Wind Blows" and "Where the Lilies Bloom". It wasn't until 1978 that Smithers landed the role that would define her career. She began playing Bailey Quarters on "WKRP in Cincinnati" alongside Gary Sandy, Gordon Jump, Loni Anderson, and Richard Sanders. Smithers appeared in 86 of the Emmy-nominated show's 88 episodes spanning four seasons between 1978 and 1982. Following the end of the program, Smithers appeared on "The Fall Guy", "Legmen", "Finder of Lost Loves", "The Love Boat", "Mike Hammer", "Cover Up", "Murder, She Wrote", "Comedy Factory", and "Hotel". Her last known acting credit came in 1987's "Mr. Nice Guy". In 1971, she married Kipp Whitman, with the union lasting a year. 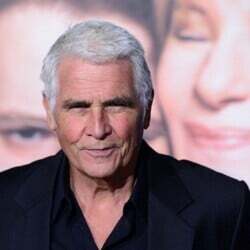 She wed actor James Brolin in 1986 and they had one daughter together before their divorce in 1995. Smithers lives in Ojai, California.